Are you spending Thanksgiving in San Francisco? If so, you will be excited to learn that there are a lot of fun events scheduled on Thanksgiving Day and throughout the weekend. In 2018, this popular holiday falls on Thursday, November 22. Several restaurants open their doors to serve up a variety of gourmet dishes. You can also do something a little different and enjoy your meal while cruising around the bay. In addition, many tour companies run most of their fun adventures throughout the day. The rest of the weekend (11/23-11/25) is also full of activity including the lighting of the Union Square Holiday Tree and Black Friday Shopping. While many museums and a handful of attractions close this day, you will still find several that open their doors to visitors. 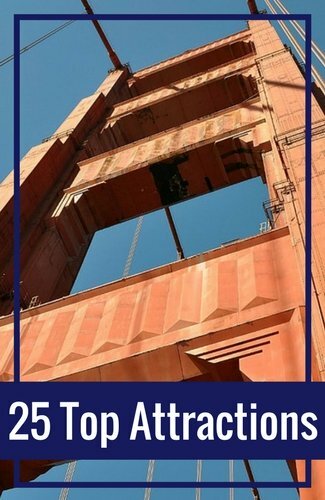 Here are some of our biggest attractions and museums open on Thanksgiving in San Francisco. Aquarium of the Bay: The Aquarium of the Bay on SF's Pier 39 is open on Thanksgiving Day. All day long, you can watch their playful jellyfish swim around their tanks, walk through the tunnels within the aquarium or touch a starfish. It's one of the best family-friendly options this holiday. Pick up advanced tickets for your visit. Botanical Gardens: The weather is usually lovely in SF on Thanksgiving and it's a fun time to walk around our colorful Botanical Gardens. You will find them in Golden Gate Park and admission is free all day long. California Academy of Sciences: Our most visited museum is also open all day long. 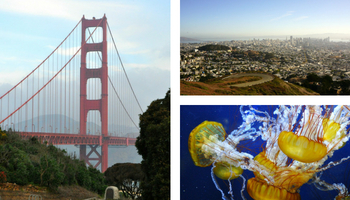 The California Academy of Sciences is a perfect stop and a wonderful experience for the entire family. 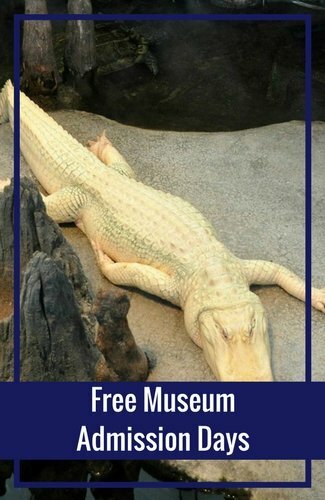 You can stop by and say hello to Claude, the rare white alligator, walk through the 4-story Osher Rainforest or take in a show at the Morrison Planetarium. Pick up your skip the line tickets so you don't have to wait in line when you arrive. Golden Gate Bridge: You can stroll across the Golden Gate Bridge 365 days a year. It's cool and windy this time of year, but it's an experience you will never forget. Make sure to stop by the Welcome Center for a few souvenirs to remember your visit. Japanese Tea Garden: Visit one of the oldest Japanese Tea Garden in this US this Thanksgiving in San Francisco. The gardens are open and welcome visitors all day long. You will find them in Golden Gate Park. Muir Woods: Another attraction just north of SF that is open every day of the year is Muir Woods. It's home to some of our famous redwood trees that are hundreds of years old. You can walk along the flat paved paths or get your heart pumping on one of the more challenging trails. You can also head up on a guided tour and leave the driving to someone else. Find availability for this Thanksgiving Day tour to Muir Woods. Twin Peaks: Another fun attraction open all day this holiday is Twin Peaks. From the top, you will get some of the best views of all of the SF Bay Area. You can climb to the top of one or both peaks or just soak in the views from the parking lot nearby. 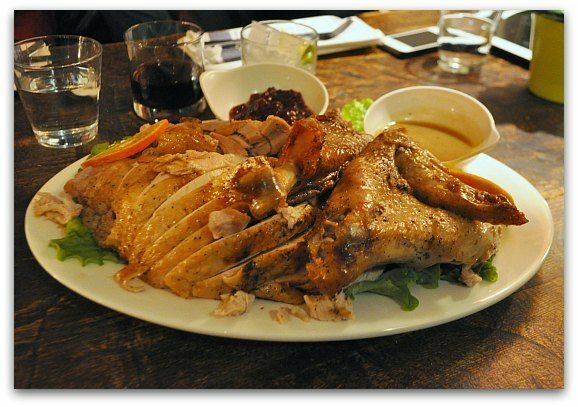 You will find dozens of restaurants open on Thanksgiving in San Francisco. 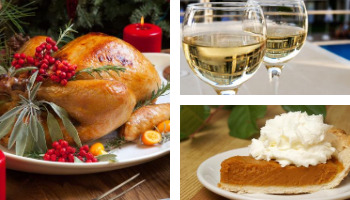 Many will offer a prix-fixe meal with turkey, dressing, and all of the fixings. Some also offer you the chance to choose a meal from their menu. Here are a few ideas for this holiday. Most tours run regular schedules on Thanksgiving in San Francisco. 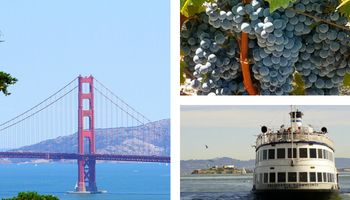 You can bike across the Golden Gate Bridge, enjoy a lovely meal on a cruise, or head up to Napa for some wine tasting. San Francisco Thanksgiving Dinner Cruise: Select from two cruises this Thanksgiving in San Francisco. The first is a buffet dinner cruise. This three hour cruise is on the San Francisco Belle and leaves at 2:30pm. The second cruise offers a 4-course seated dinner. This cruise is on the California Hornblower and leaves at 2:15pm. Find availability for both cruises on Viator. 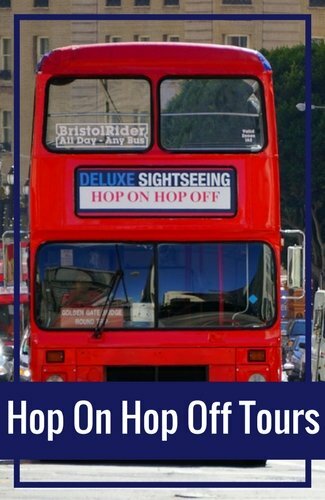 San Francisco Hop On/Hop Off Tour: Spend the day visiting some of SF's top attractions. 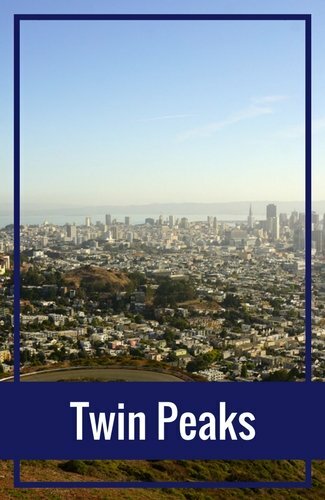 On Thanksgiving Day, you will find many of our top free attractions such as the Golden Gate Bridge, Lombard Street, and the Painted Ladies of Alamo Square open. 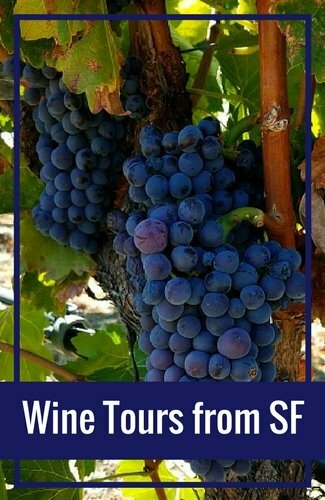 It's a fun day to explore the city on this Hop On/Hop Off tour as you learn more about SF's history. More about the 24-hour tour option. Book your hotel early and save! Click the links below to find the best deals currently running during your stay. Are you visiting with kids? Here is a quick guide to the 25 most kid friendly places in the city. All offer a fun experience for both your kids and you! If you plan on going shopping, I recommend heading over to the Fishermans Wharf area. Most shops in that area are open this holiday. Chinatown is another great option as most of the shops and restaurants run their regular hours. If you head to Union Square, plan on most shops being closed as they prepare for Black Friday. Ghirardelli Square: The management here lets the shops decide if they want to open or not on Thanksgiving Day. However, they did confirm that at least some of the shops will be open on Thanksgiving Day. Pier 39: Several shops on Pier 39 are also open on Thanksgiving in San Francisco. You will find about 75% are open this day and many are open from mid-morning to mid-evening. The 7D Experience and other attractions are also open on Pier 39 this day too, so you will find plenty of fun things to do. Union Square: A few shops in Union Square area also open, but it's more hit or miss in this neighborhood. 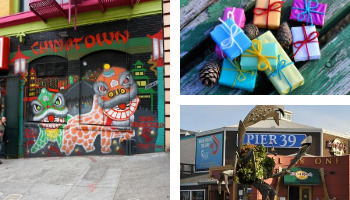 Chinatown: Here you will find inexpensive items such as San Francisco gifts, clothing and jewelry. Most places are open on the holiday and throughout the weekend. It's a fun place to come for some great bargains! Cirque du Soleil: You will find one performance of Cirque du Soleil's Volta this Thanksgiving in San Francisco. It's a show about self-discovery and learning to love yourself to live your life to its full potential. Each show offers colorful costumes and skilled acrobats throughout this 2+ hour performance. This year's performance is Under the Big Top near Oracle Park (formerly AT&T Park) at 8pm. San Francisco Turkey Trot: This annual event only takes a limited number of entrants, around 1,400, and registration is open for 2018. The cost is $40 per person. The run takes place in Golden Gate Park. The kids race is at 8am and the Turkey Trot starts at 8:40am on Thanksgiving morning. The course is mostly flat. Other Turkey Trot Runs: In addition to the Thanksgiving Day run in SF, you will find more than a dozen runs all around the SF Bay Area. To find the right one for you, I've created a list of 15 top runs this holiday morning. Indigenous People's Sunrise Gathering at Alcatraz, also called Unthanksgiving Day: This one day event is to commemorate the 1969 - 1971 occupation of Alcatraz by the "Indians of All Tribes." This sunrise celebration includes traditional Native American dancing, singing, and other performances. The San Francisco weather for Thanksgiving and the weekend is usually temperate during the day with temperatures in the mid to lower 60s. It's often partly cloudy with some sun throughout the weekend. At night, the weather will dip into the lower 50s. The wind here will make both the day and night feel a bit cooler. I do recommend that you check the weather a few days before you arrive. November is the start of our rainy season, so it could also be rainy for a day or two this weekend. All museums and attractions run regular schedules for the rest of the weekend. All tour companies run their full schedules also. In addition to these activities, here are a few other fun things to check out this weekend. Top picks include concerts, theater performances, Cirque du Soleil shows, and so much more! 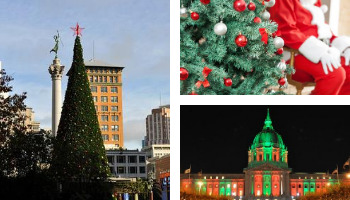 You will find a variety of tree lighting ceremonies this weekend in SF. The biggest is the annual lighting of the tree in Union Square. This year, it's scheduled for Friday, November 23. The ceremony begins at 6pm with the tree lighting finishing at around 6:40pm. You will find several performances of Cirque du Soleil's Volta this Thanksgiving in San Francisco. It's a show about self-acceptance and finding the strength to be the best you possible. It includes gorgeous costumes and talented acrobats on stage for around two hours. All shows are Under the Grand Chapiteau near Oracle Park on the South of Market district. You will find several of our professional and college teams in action this Thanksgiving in San Francisco. Here are the top games this weekend. This weekend, Chris D'Elia is in town performing one show at the Nob Hill Masonic Center on Saturday night. D'Elia is best known for his work on the comedy show Whitney as well as Undateable and The Good Doctor. Don't miss out on your chance to see him live on stage. Click the links below for ticketing information. On Friday, Saturday or Sunday, head over to Davies Symphony Hall to see MTT Conducts Beethoven's Ninth. Performances begin at 8pm on Friday and Saturday. 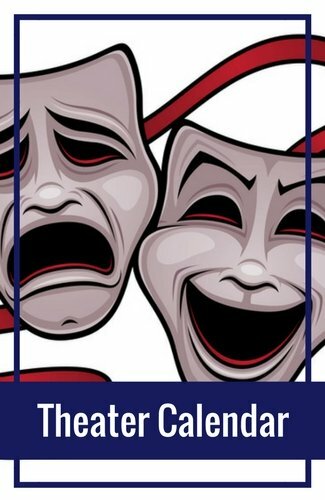 The Sunday performance is a matinee and it begins at 2pm. It's a Wonderful Life is this year's Thanksgiving Weekend performance by the SF Opera. The show is based on the classic movie. They are offering two shows this weekend. The first is on Saturday at 2pm and the second is on Sunday at 2pm. Both performances are at the War Memorial Opera House in the Civic Center district. Each year throughout most of November and December, there is a temporary ice skating rink in Union Square. Each session is 90 minutes and starts on the hour, every even hour starting at 10am. A second temporary ice skating rink is open at the Embarcadero Center throughout November and December at the Embarcadero Center. Santa will make an appearance several times over the Thanksgiving Weekend. You will find him at special holiday events as well as at malls and shopping centers all around town. This Thanksgiving in San Francisco you will also find several great live shows. You will find top shows at Nob Hill Masonic Center, Bill Graham Auditorium, and several small venues all around town. SF Bay Area: Are you looking for additional things to do this weekend? 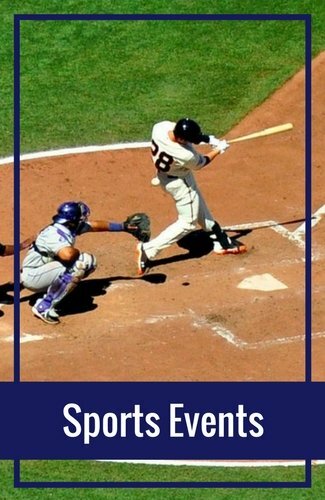 Check out my SF Bay Area page with even more fun things to do this Thanksgiving Day & Weekend in SF. Black Friday is a big shopping day in SF. This is when you'll want to head back to the places with larger retail stores for the best deals. Union Square: Here you will find several shops with great Black Friday deals. Macy's is the anchor store here - with several others that surround it. Westfield Shopping Center: There is also a large shopping center about five blocks from Union Square. It's an indoor mall with dozens of stores. It is on the corner of Market and Fifth Streets. Read more about the 8 places I recommend for you to shop on Black Friday. Find more details, maps and tips for shopping in the Union Square area.